You’re only as old as you feel, and in these videos we feel like a couple of little kids. 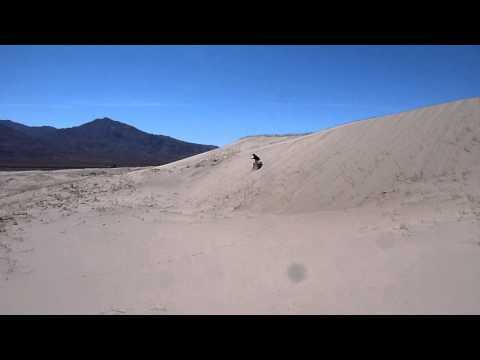 In this video, Theresa is running down a sand dune at Kelso Dunes in the million-acre Mojave National Preserve, Calfornia. Darby, Shadow and I are playing on the 60-story tall Kelso Dunes. 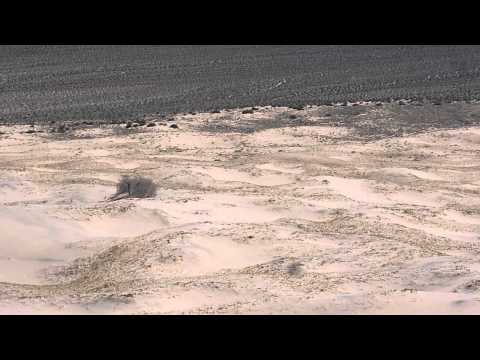 When I’m pushing my feet into the sand, I’m trying to make the dunes “sing.” These are one of the few dunes in the world that sing in low tones when sand falls down the dunes. Sorry for the artifacts in the video, there was dust in the lens from the desert wind.